Join us for an entire week of activities to help celebrate the library during National Library Week. The week before National Library Week, feel free to stop by our table near the door to write an appreciation note to the library and it’s staff. Everyone who checks out items will receive a treat of Hershey’s Kisses and Hugs. Stop by to see the “notes of appreciation” to the library staff. The library will be forgiving fines for anyone that comes in that day and has fines related to late fees (no fines for lost items). Receive free movies all day. Anyone that signs up for a NEW library card during the week will receive a $1 library coupon for future use. * We are closed Friday and Saturday this week for Good Friday and Easter. Join us for the Friends of the Library’s annual meeting the week following National Library Week at the Main Library. 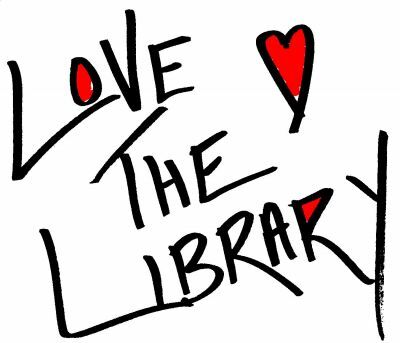 Learn how you can join the Friends, how the Friends help support the library, and get a behind-the-scenes tour of the library. Light refreshments will be available from Kaylah’s Cupcakes.